Bangkok, 18 April 2018 - Thai Gypsum Products Public Company Limited, the first gypsum manufacturer in Thailand and innovator of the leading brand “Gyproc”, and Saint-Gobain Weber Co., Ltd. (under the Gecko trademark), leader in tile adhesive/grout, waterproofing and construction mortar, invite architects, developers, design students, engineers and homeowners to visit booth D101 at Architect ’18 during 1-6 May, 2018. 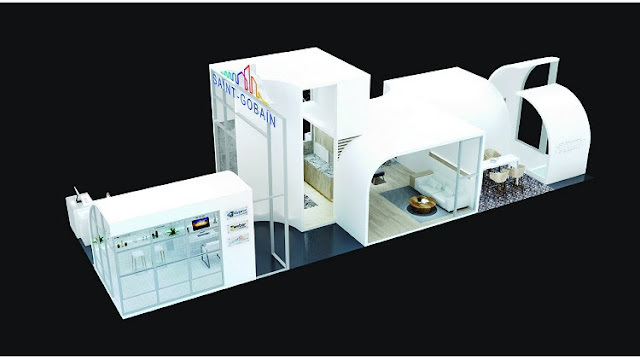 The Architect ’18 forum will take place at IMPACT Challenger 2, and will be the first public unveiling of the “Multi-Comfort” experience program by Saint Gobain; a new way of designing living spaces, helping to maximize the sense of wellbeing inside the buildings in which people live, work and play. This is the first time that Gyproc has joined forces with Weber to organise a booth activity at Architect Fair 2018. The cooperation brings the best innovative solutions in response to today's core challenges of growth management, energy efficiency and environmental protection. Gyproc and Weber both trade under Saint-Gobain Group, which has a successful history spanning more than 352 years. The Group is renowned globally for designing, manufacturing and distributing high-performance materials; the collaboration at this event emphasizes the world leadership in the habitat and construction markets of Saint Gobain Group and its mission to develop construction and renovation solutions for all customers. Gyproc and Weber both create products and solutions that are energy-efficient, comfortable, healthy and aesthetically superior while at the same time conserving natural resources. About Thai Gypsum Products Pcl. Thai Gypsum Products Pcl., celebrated its 50th Anniversary of successful operations in Thailand a half-century after its establishment in 1968, and is Thailand’s pioneering manufacturer of quality gypsum boards and plasters. Its products and solutions are currently well-known and well-regarded in the construction industry in Thailand and Asia Pacific. Thai Gypsum Products owns two modern gypsum plants at Laem Chabang, Chonburi and Bang Pa-In, Ayutthaya. Thai Gypsum offers a complete range of gypsum board, gypsum ceiling tile, metal system components and powder finishing products, as well as innovative solutions focusing on offering a complete interior building solution for its customers. Thai Gypsum Products Pcl. is part of Saint-Gobain Group, the world's largest building products manufacturer. 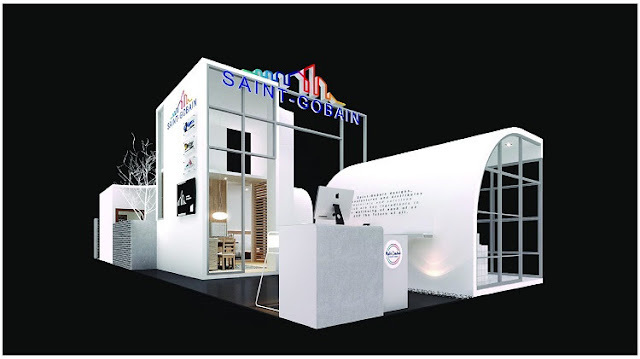 Saint-Gobain Group specializes in the design, production and distribution of functional and sustainable materials for the construction, industrial and consumer markets. The Group with over 170,000 employees is organized into four business sectors: Flat Glass, Packaging, Construction Products, and Building Materials Distribution. Thai Gypsum is part of Saint-Gobain’s World leading Gypsum activity, with 352 years operation in 130 sites and 13,000 employees, its international presence means that the activity can adapt to its customers' local requirements and deliver the right sustainable construction solutions for the local market.